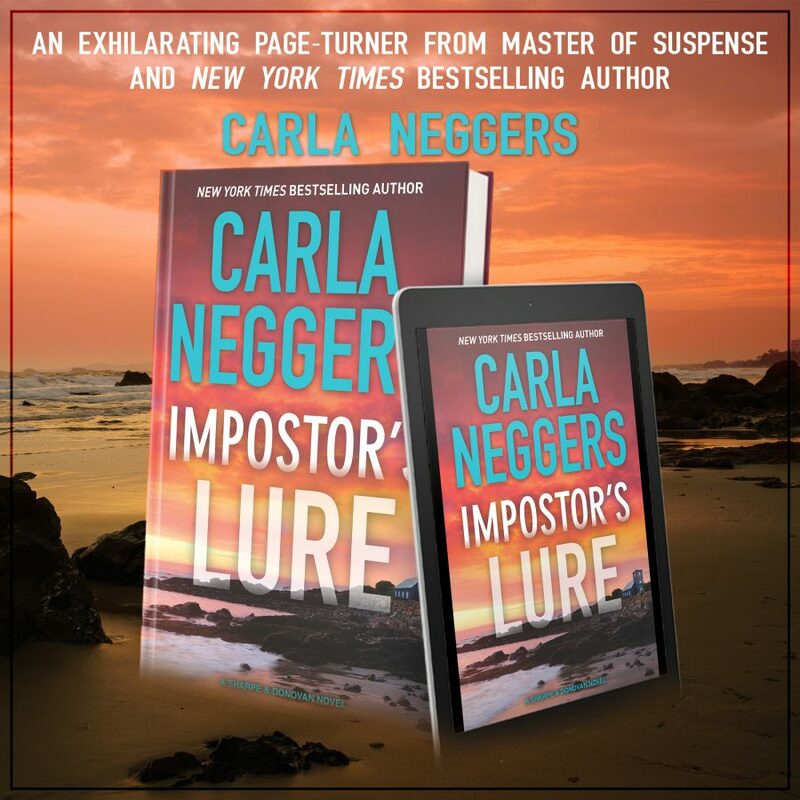 Welcome to the blog tour for IMPOSTOR’S LURE, the eighth book in the adult thriller/romantic mystery series, Sharpe & Donovan, by New York Times bestselling author, Carla Neggers. See below for information on the book, buy links, and an exclusive excerpt. An antique Maine lobster boat was bound to draw attention at a Boston Harbor marina, but Emma Sharpe hadn’t recognized any of the onlookers until now. 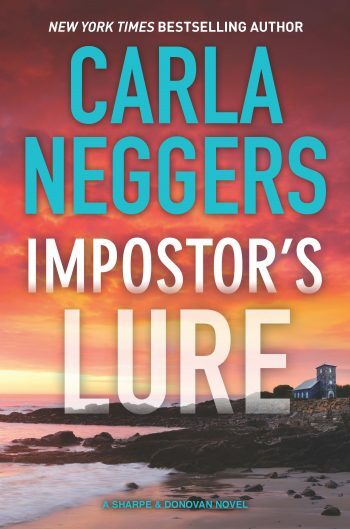 She pulled off her work gloves and peered out the window of her apartment, located on the ground floor of a former produce warehouse that shared the wharf with the marina. What was Tamara McDermott doing here? Emma tossed her gloves into the sink. She’d been cleaning since midmorning. It was after lunch now—she’d grabbed a chickpea salad out of the fridge—but she was almost finished. Kitchen, living room, bedroom, bathroom. All in four hundred square feet. Plenty of space when it’d been just her, but now she shared the apartment with her husband. Emma smiled at the thought. She and Colin Donovan, also an FBI agent, had been married ten weeks. She hoped she felt this way in ten years. Twenty. Fifty. He was and always would be the love of her life. But he hated chickpea salad, and he’d been mystified when she’d opted to stay home and clean instead of join him and his three brothers, down from Maine, at their annual Red Sox game. She took her keys and exited the apartment, ignoring the blast of mid-August heat. 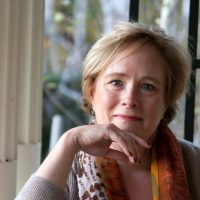 Tamara McDermott was in her late forties, a prominent federal prosecutor based in Washington, DC. Emma hadn’t worked directly with her but definitely recognized her. It was Sunday, and Tamara hadn’t called ahead to meet. She wore a casual marine-blue knit dress with diamond stud earrings, a simple gold watch and sturdy sandals. Little or no makeup, sweat dripping down her temples and matting her gray-streaked dark hair at her nape. She must have walked at least a couple of blocks. She wouldn’t be sweating this much if she’d been dropped off by a cab. It was, though, a stiflingly hot day. Emma had on a shapeless linen sundress that didn’t do her any favors, flip-flops, no makeup. She’d pinned up her hair haphazardly, thinking she wouldn’t be seeing anyone until she’d had a shower and put on fresh clothes. “I didn’t realize you were in Boston,” Emma said. “My daughter turned twenty-one yesterday. We’re celebrating tonight. She’s a student here in town. She’s studying archives preservation. I came up for the weekend. I start vacation tomorrow. Unless I get cold feet,” she added with a wry smile.